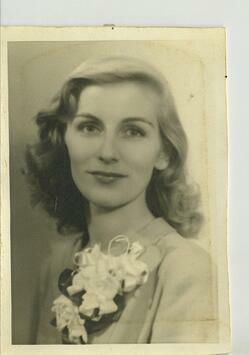 My Aunt Tottie (my dad's sister) was extremely disorganized and she was also very creative and dramatic! My mother was a BO (Born Organized) and she used to roll her eyes over the way Aunt Tottie lived. For instance, she was a lousy housekeeper, wore baggy clothes day in and day out, and rarely put on make-up, BUT when she did get cleaned up, she was a KNOCK OUT. Mom said when they were young; Aunt Tottie would get all gussied up to go out dancing and she’d make an entrance that would drop jaws. My aunt loved to get a reaction from BOs like my mom. I remember one time; watching her in her messy kitchen, make orange juice from a can of frozen concentrate while she talked with my mom. She couldn’t find a clean spoon to stir the three cans of water into the orange lump of concentrate, so she just stuck her whole hand into the pitcher and stirred with it. My mother was horrified. I think one of the payoffs to being disorganized is the reactions we create. When we're late, we have to rush. When we don't have something to fix for dinner, we get to go out. We get an Adrenalin rush when we have to throw our minds into overdrive to come up with something to wear at the last minute. Also there's drama in the bigger the mess, the more fantastic a clean-up will look. When you keep your home “company ready” you lose the drama of being able to say, “Tah Dah!!!! !” When you look good all the time, you just look good all the time and you don’t get to hear the whistles and “Wow, you look fabulous!!!!!!!! !” When you get organized, you give up the explanation marks for the contrasts between “before” and “after,” but you’ll get them back with rave reviews from what you create when you have a more organized life. Being disorganized can seem like a curse, but there's a precious gift in it and that's your creativity. In fact you probably already know that your creativity has gotten you into many messes. Besides the mess a creative project can make, when you’re in creative mode, you lose track of time, you forget to eat and you're able to ignore the daily tasks that keep a home running smoothly. When you're organized you have a schedule for creative projects and you actually get to spend more time creating. Because I got organized, I've been able to write ten books. Another way to get your exclamation marks is immediate; by watching movies. I think that’s why we love to go to the show, subscribe to Netflix, watch TV and buy DVDs. It’s probably why prisons show movies. The inmates get to vicariously partake in the drama on the big screen and get it out of their systems. Part of my success at being organized is because I include watching at least two movies a week into my routine. Your assignment (should you agree to take it) is to get your drama fix from a good movie this week, not from real life mess-ups. Make it a weekly must as you have fun getting organized. Then, when your life is organized you’ll start getting a parade of exclamation marks because the world needs what you have to create for it. Here's a great blog to get you excited about getting organized. Just click on the fire. Please share and if you aren't signed up for my blog be sure to give me your email up in the right-hand corner of this blog. P.S. The system that changed my life 42 years ago is in this book and now it's simplified even more. Just tap on the cover for more information and to buy it.